When Women gather they heal, when women heal, they heal the world. Join our sacred community of women for a workshop dedicated to the Divine feminine. Gurmukh and Wah will take you on a soulful and sweet journey using Kundalini Yoga, Meditation, Dance, Ceremony, Celebration and Connection. The world is calling us forth to reclaim our place and power. Together we can be reminders to each other to reflect and share our truth and wisdom. It is easy to get lost in our thought of being small, join us to be reminded of your greatness. It is through community and group consciousness that we can make the changes needed to bring humanity back into harmony. You are an important part of this solution, so come and feel the support of other women as you brave the journey of uncovering your gifts. As Women we can heal though storytelling and recognizing that we are not alone. When we feel a sense of authentic connection and trust, we can experience vulnerability and openness, which lead us to great inner awakenings. Let us be in service to each other as we create a sacred container for ourselves and other women. RPW is a course designed to immersion us into a space of sacred sisterhood. We have urban retreats and full retreats. The course can be held over a weekend or a full week depending on the location. The course are based on Kundalini yoga and the teachings Yogi Bhajaan left for women. 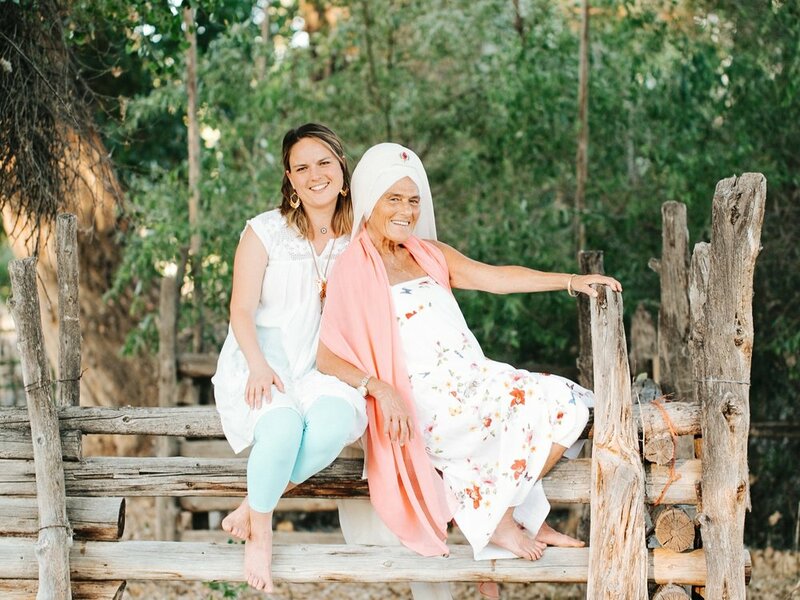 Both Gurmukh (my mother) and I studied with Yogi Bhajan and bring out personal experience with us. This course is a powerful way to lean more about the divine feminine within all women. It is a safe and playful environment to explore, expand and enhance our Radiance and Power as women. Our unique mother- daughter approach makes for a course that is deeply personal and accessible to women in all stages of life.